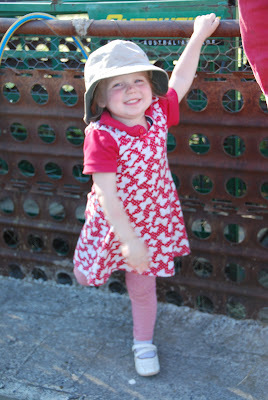 I’d rather ignore Saturday with 6 loads of washing and a broken lawn mower but Sunday made for a Wonderful Weekend. Muddy Hubby fixed the mower for me, so I could finish mowing the orchard, keeping the mozzies down and giving me a clear view of the snakes coming. Then the Muddy Family headed to the local pub for lunch. 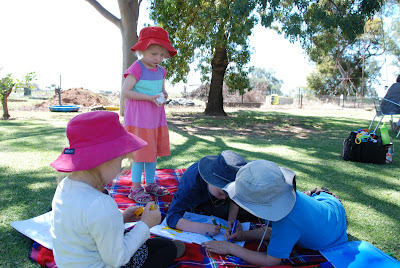 We set up camp on the back lawn of the pub, the kids settled down on the rug for some colouring-in and lunch, while the adults settled in for a good catch up and tasty feed. Our local pub has been gradually restored and renovated over the last few﻿ years. It’s now a meeting place for friends and family, a place to relax, unwind and have a good time. 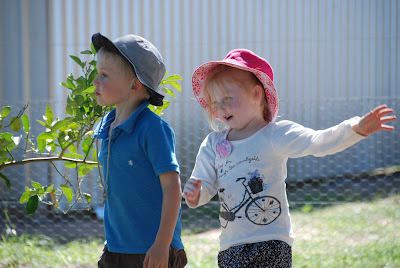 During the year they host functions, and have family BBQ’s, Sunday was one of those days. 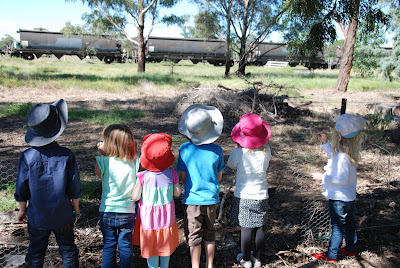 After lunch the kids had fun watching the train go by, playing make believe as trains, planes and horses, while Muddy Hubby and I played with Muddy Bubby and chatted the afternoon away. 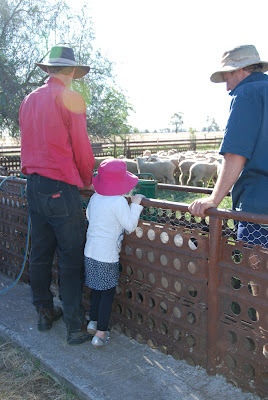 We went straight back to work in the late afternoon, weighing lambs for today’s sheep sale. Making sure we had the heaviest to send to market. The girls are getting good at learning how to shift the sheep, keep them moving into the scales and drafting them off into the heavy and light pens. 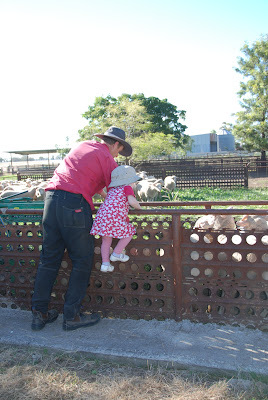 My favourite bit is them getting to spend time with Muddy Hubby and learn all the workings of the farm. 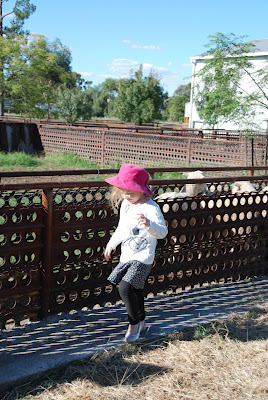 I also love to see a bit of fashion in the sheep yards, Muddy Organiser with her silver shoes and pretty dress and Muddy Puzzler with her bright red dress, always a way to brighten up the dusty yards. How did you spend your weekend? Do you have a local pub that’s good for families like ours is? 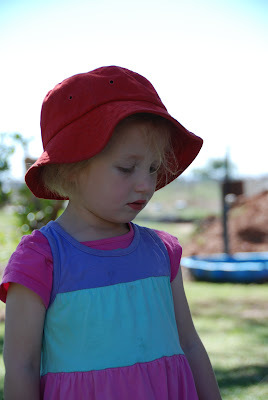 This entry was posted in Farm, Kids Play, Muddy Organiser, Muddy Puzzler, Photos, Wonderful Weekends on March 26, 2012 by nat. 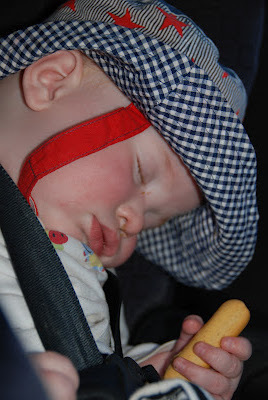 Oh – the cuteness here! !